As of July 1, all affected B.C. municipalities have signed on to a new 20-year policing contract with the Royal Canadian Mounted Police. Some local leaders remain fearful that the new deal exposes local taxpayers to surprise cost increases. I have a different concern (predictably): could this contract have done a better job of enabling local input on policing practices? Is that option still open to us? The contract was negotiated by the Government of British Columbia to cover both provincial and local policing needs, and announced in March of 2012. As mentioned previously on this site, a few Fraseropolis municipalities run their own police services, but most employ the RCMP. 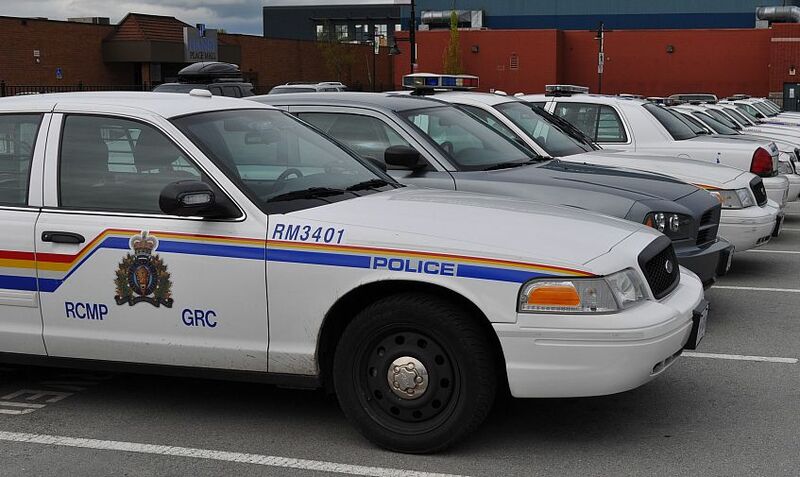 Local governments in Burnaby, Coquitlam, Langley Township, North Vancouver, Richmond and Port Coquitlam were among those that expressed unhappiness with the new RCMP contract, and they refused to ratify it until the second half of June. News media linked the cities’ reluctance to a lack of clarity in the contract around cost-sharing. Richmond Mayor Malcolm Brodie complained that a promised companion document explaining the deal was never produced. However, the issue of whether communities should play a bigger role in setting police service priorities and influencing policies did not appear to be part of the debate. Provincial statistics (see the Resources page on this site) show that policing accounts for over 10 per cent of municipal spending. In my view, this entitles taxpayers to a public discussion of how police set priorities — that is, how much of their time and budget they put into traffic enforcement, or community outreach, or anti-drug enforcement. Are there different and more effective ways to address the safety and security problems facing each local area? We know that the Mounties are trained within a single organizational model, but don’t different communities have different needs? A 2007 consultant’s report presented to the City of Richmond reports complaints from city staff and residents that the local RCMP detachment operated in isolation. “Administrators felt restricted in their attempts to effectively facilitate community safety and security… City staff felt they had no access to either the police planning process or the information which might give them a sense of comfort regarding the policing of the City. Community members also expressed concern that the police were detached from the community and [suggested] that direct oversight of the police was important to what was termed the connection between the police and the public.” (Pages 61-62). The report proposed the creation of a “Public Security Committee” where selected local residents would join City Council members in “full and open discussion” of policing and public safety issues. Richmond has chosen instead to deal with the police through a committee of Council whose meetings have often been closed to the public, at least during 2012. I understand the function of private conversations, but this pattern of secrecy is, in my view, disrespectful to the public and a violation of the spirit of British Columbia’s Community Charter. On the other hand, if the politicians open the doors only to let RCMP brass dominate the agenda (as with the most recent open meeting of Surrey City Council’s Police Committee in October 2011), we’re not much further ahead. I’ve been told that things have improved in most B.C. cities since 2007. RCMP officers now attend management meetings with city staff, so there’s better coordination in such areas as social services and road operations. The federal police have expanded their community policing presence and work with a wider pool of volunteers. However, working from the Richmond consultant’s report, I’ve found only two Fraseropolis municipalities in the RCMP domain where citizens meet with police to discuss policies and practices. Langley Township has a Community and Transportation Safety Advisory Committee. Its recommendations, unfortunately, are not posted on the municipal website. The City of Burnaby is more helpful: it maintains a current work plan for its Community Policing Committee, touching on a diverse list of public priorities. This is a modest beginning; but it shows that citizens can attempt to influence senior police officers in an open way without the system falling apart. Burnaby, Richmond and other cities who criticized the new RCMP contract have promised a joint study to look at alternative policing systems. We may see another consultant’s report stating that it might make sense to bring the police and communities closer together. This would be a positive thing, but the missing ingredient here is public pressure for change We respect the police, we think the police are doing a good job in general, with some nasty exceptions, and we don’t want law enforcement organized on a political basis. We’re busy. We have other things to do. In most cities we leave the job to the politicians, who will go with the status quo unless the public says otherwise. And even in communities with functioning citizen police boards, we don’t pay attention.